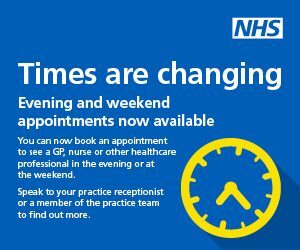 The Hollies Medical Centre aspires to delivered an appointment guarantee to everyone who call's before 10.30am.However due to NHS Primary Care pressures there will be occasions where this is not possible. We are currently reviewing all of our systems and if you would like to voice your opinion on our future service delivery, please consider joining the Hollies Patient Forum. The latest Patient Survey figures have just been revealed and we are delighted with the results ranking us once again the top-rated surgery in Sheffield! The GP Patient Survey is an independent survey run by Ipsos MORI on behalf of NHS England. The results show how patients feel about the service provided by their GP Surgery. The survey was sent out to 233 of Hollies Medical Centre patients and 120 responded between January and March 2018. 99.1% of responding patients said that they would recommend our surgery to someone new to the area. This is the second consecutive survey which has resulted in this score.